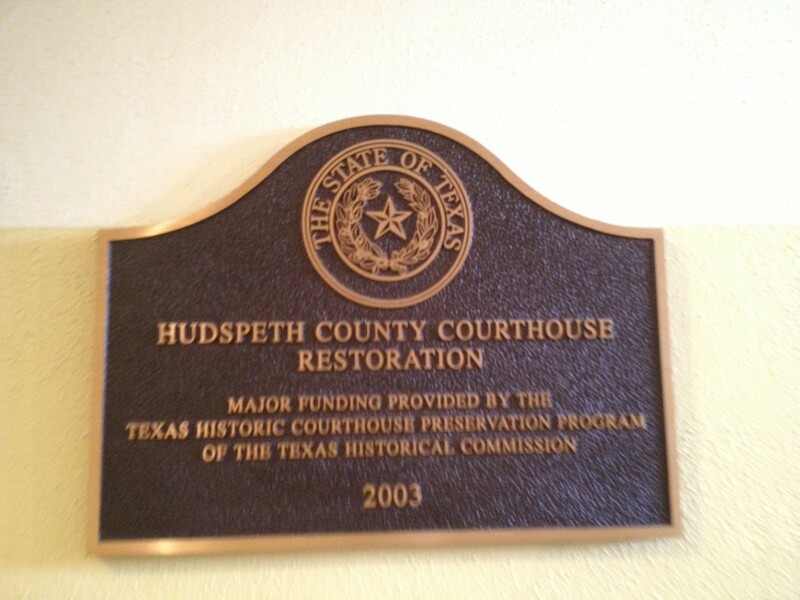 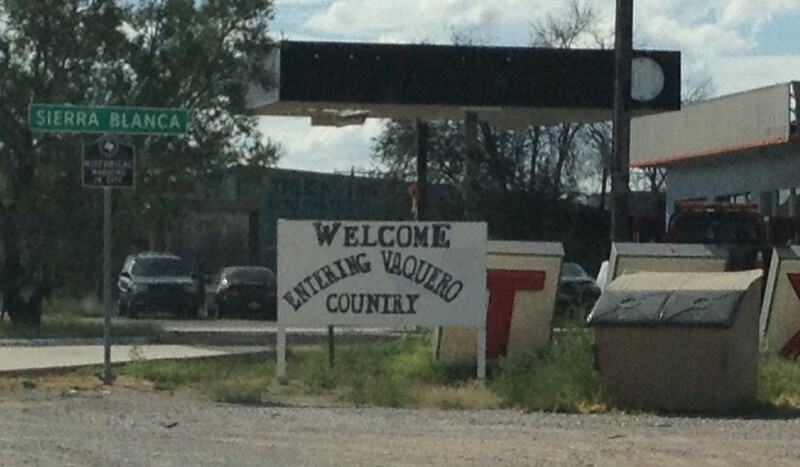 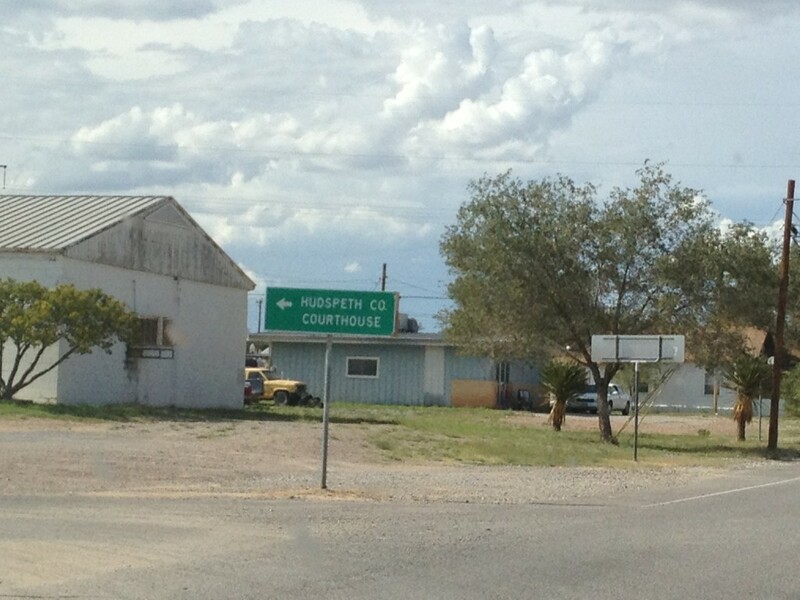 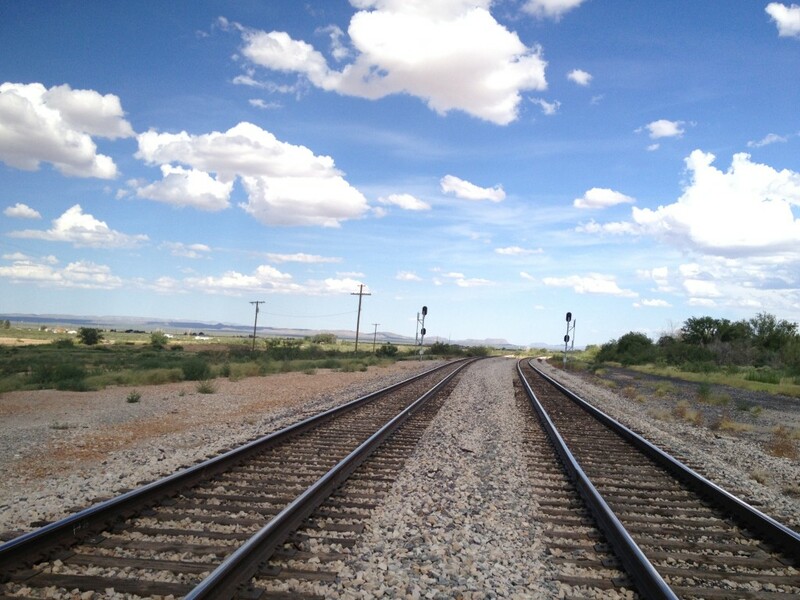 “Hudspeth County has generally been richer in minerals than in prime cropland and fresh water. 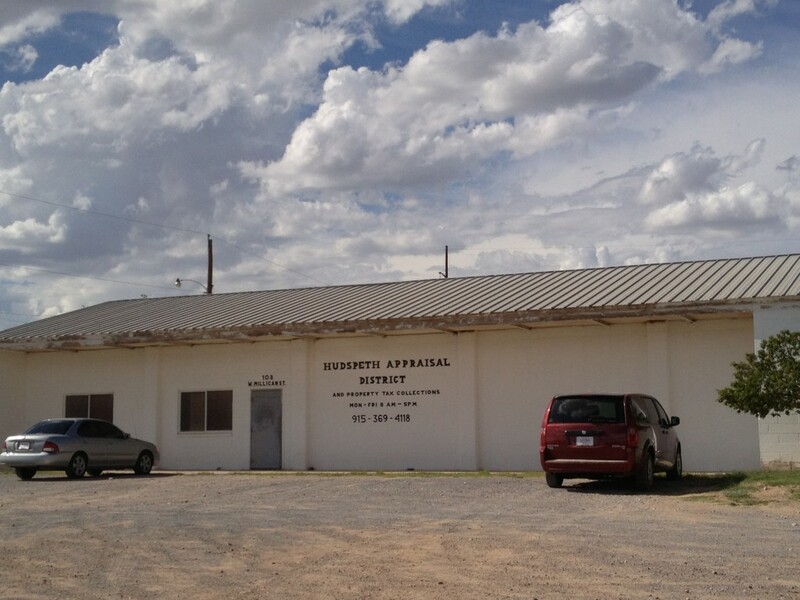 In the early 1940s zinc was briefly produced in the Eagle Mountains, and from 1942 to 1950 the same area produced some 15,000 short tons of fluorspar.” (Like neighboring Culberson County, less than one percent of Hudspeth County is considered “prime farmland”). 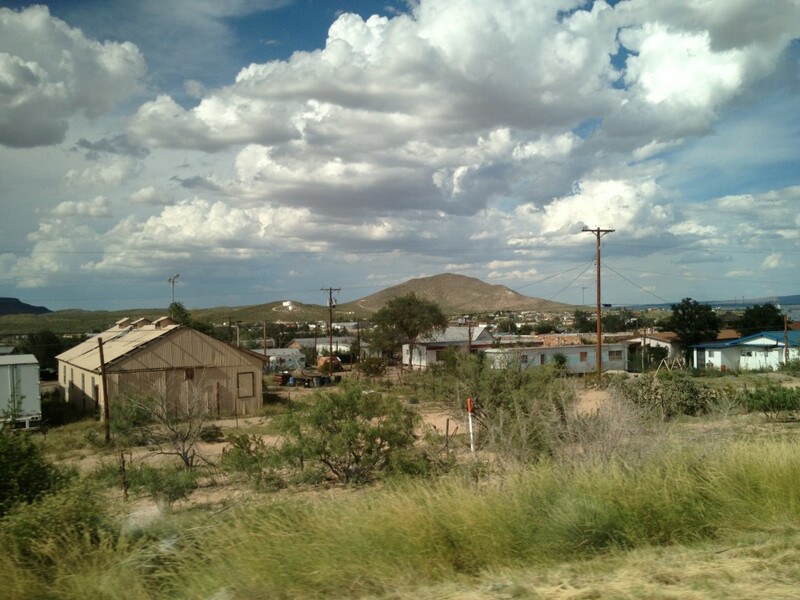 Sierra Blanca is named for the local mountain of the same name. 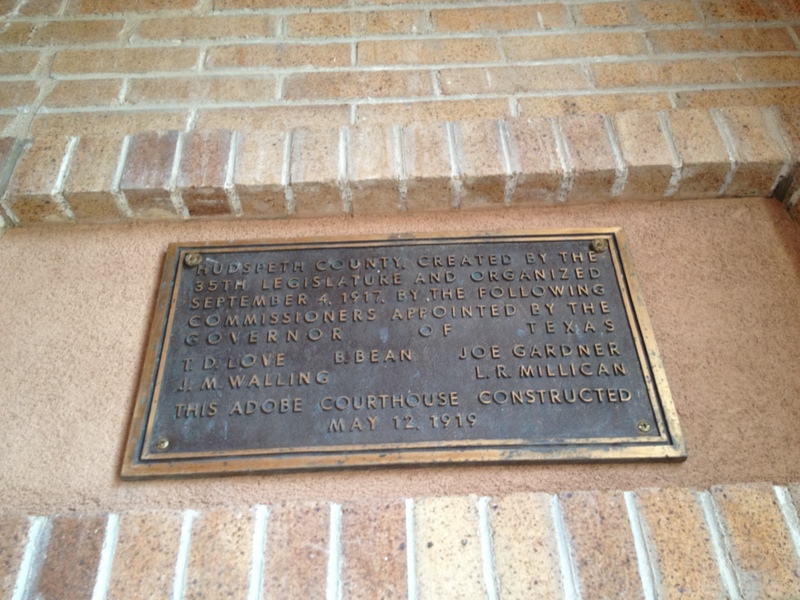 Also, whether or not you saw it above, the courthouse there is the ONLY one in the state to be constructed primarily of adobe. 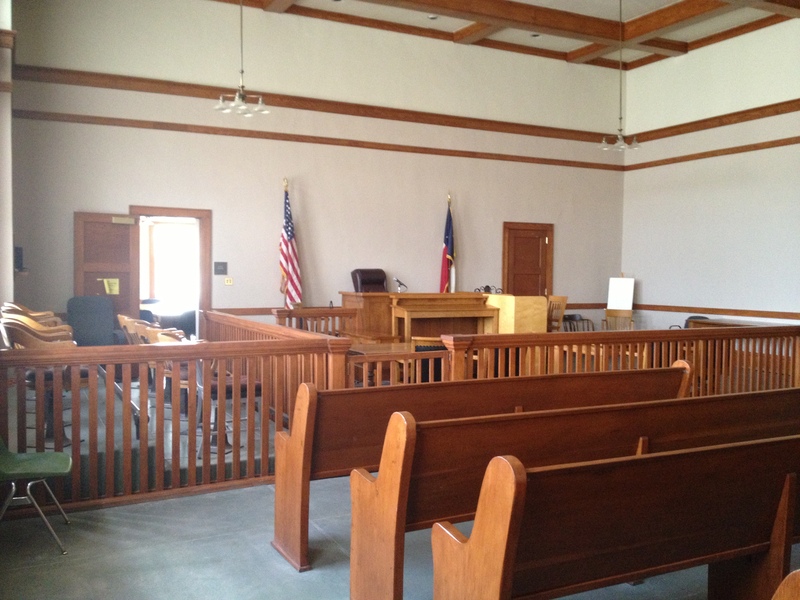 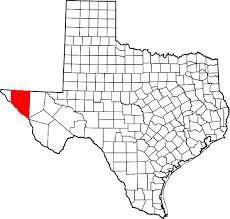 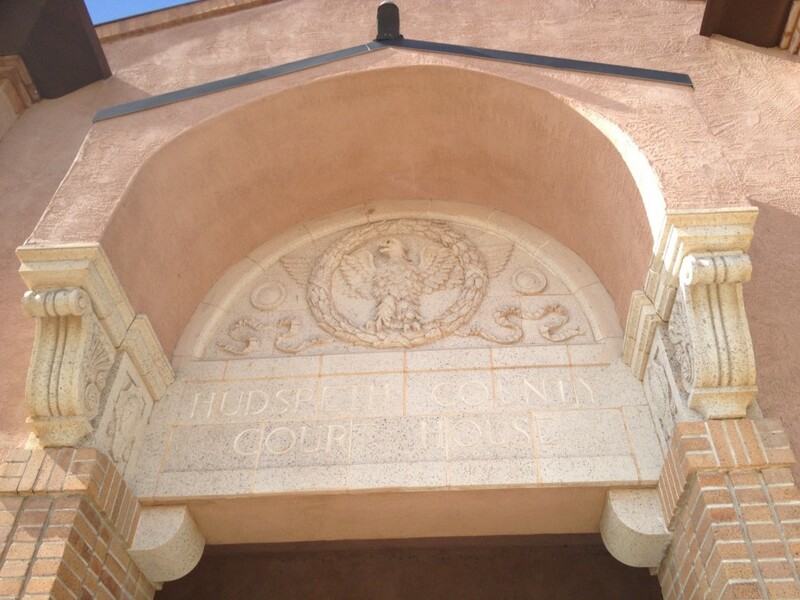 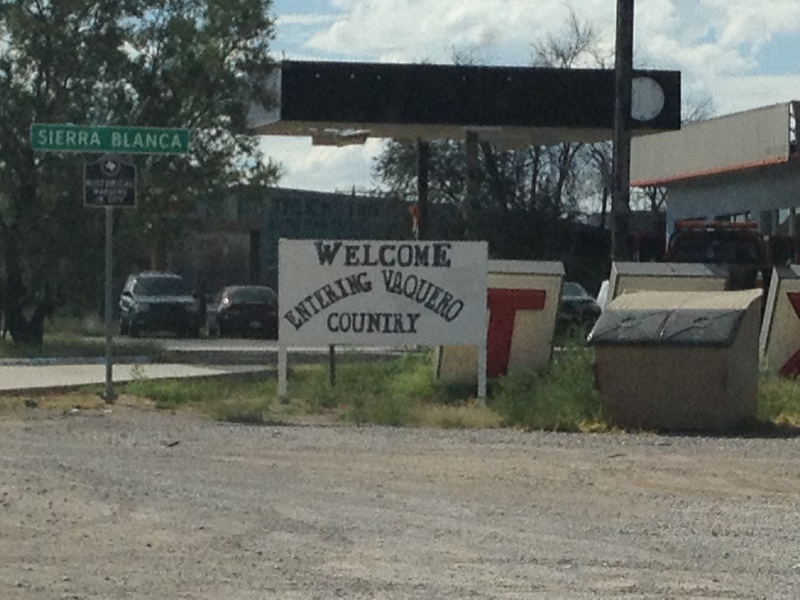 Two Texas counties are part of the Mountain Time Zone. 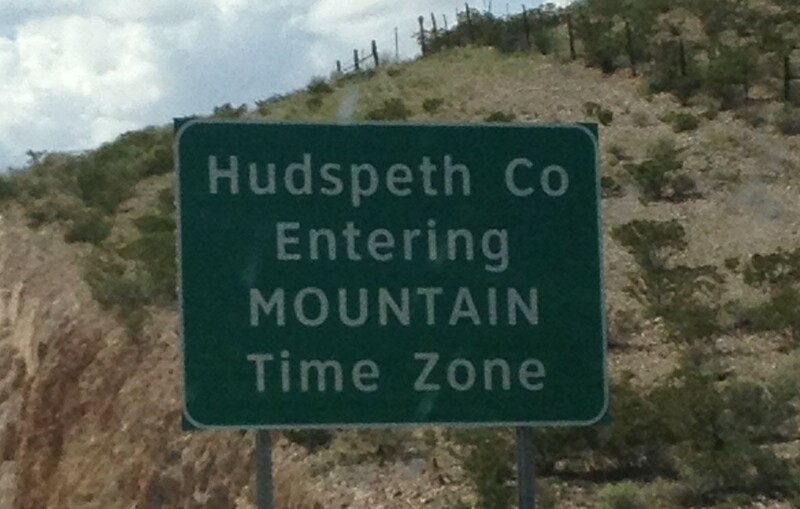 These are Hudspeth and El Paso. 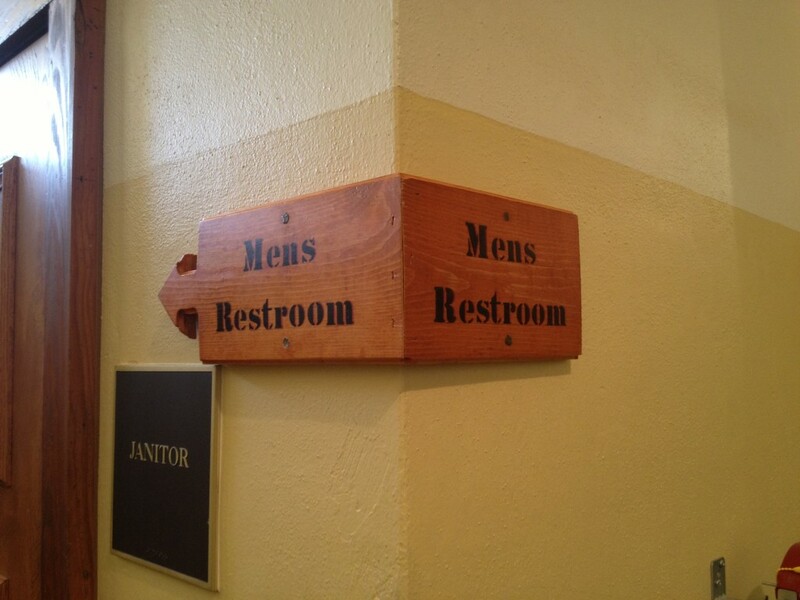 A helpful sign guides visitors to the courthouse. 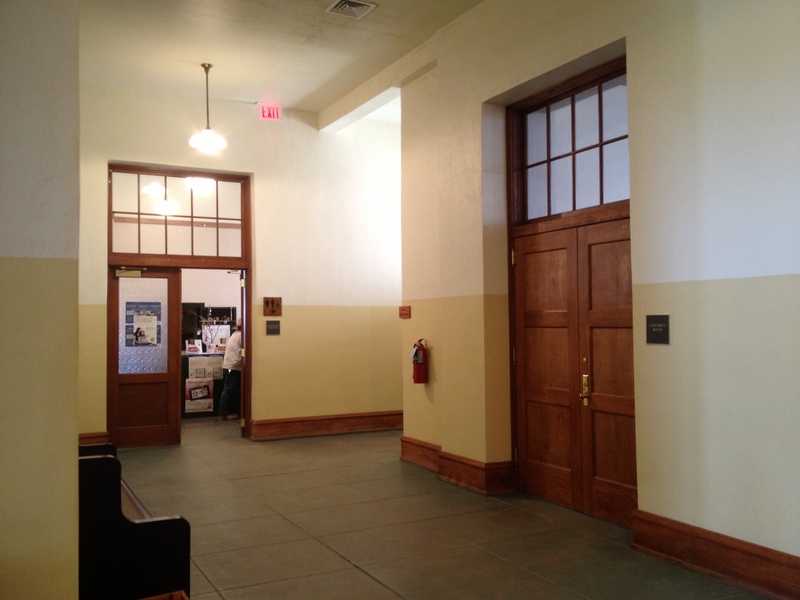 Looking south from the front door towards Fort Worth Street. 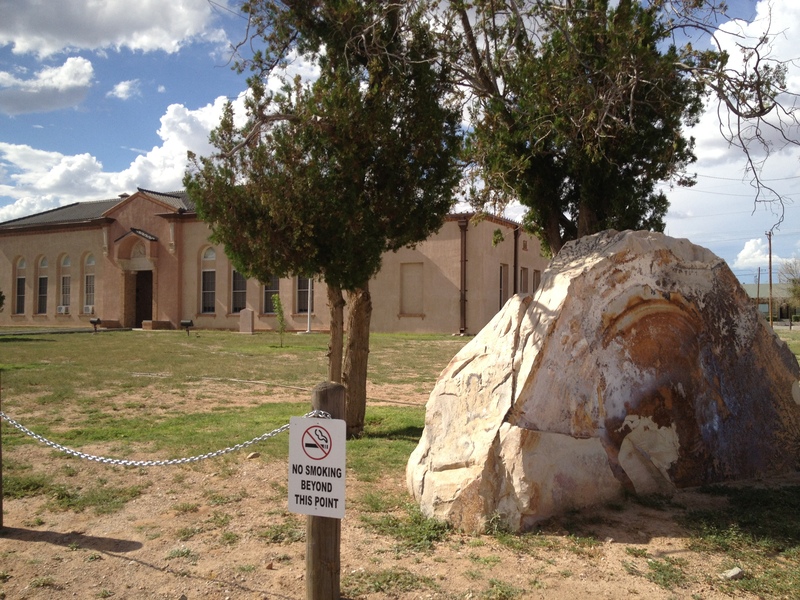 A large rock is on display on the courthouse grounds. 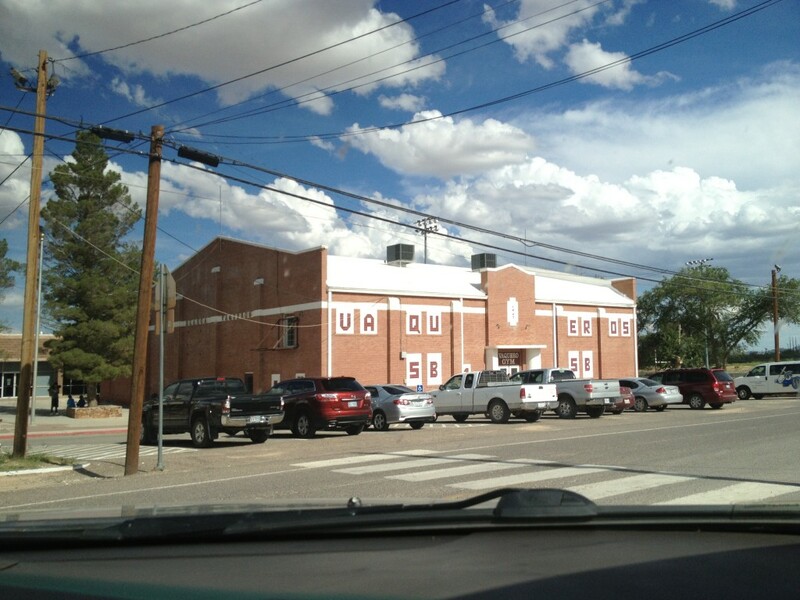 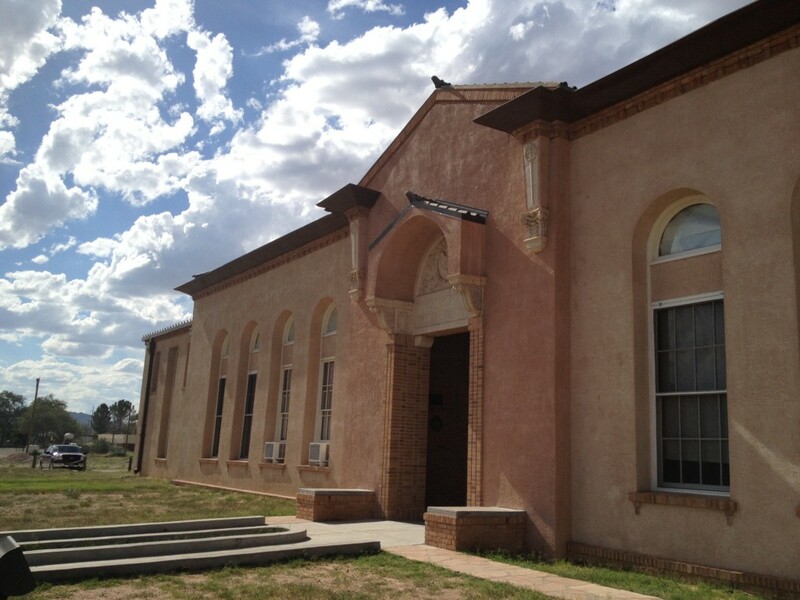 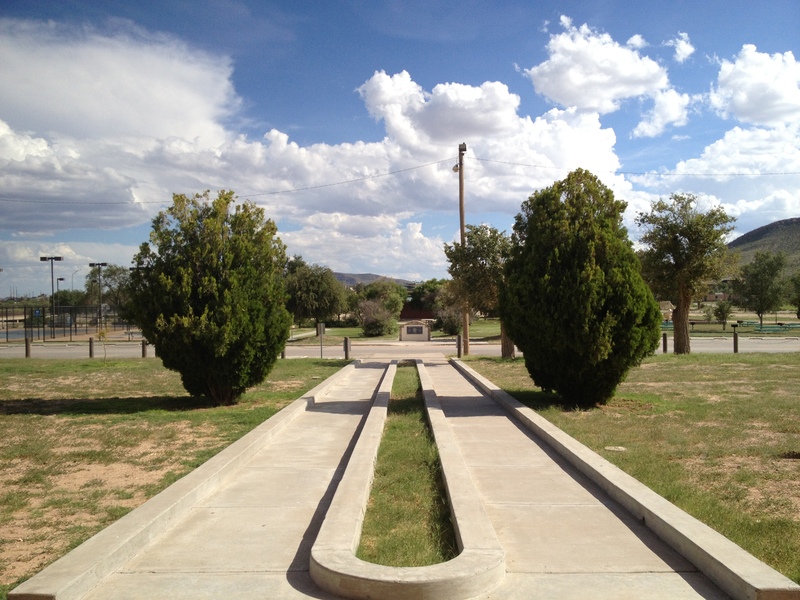 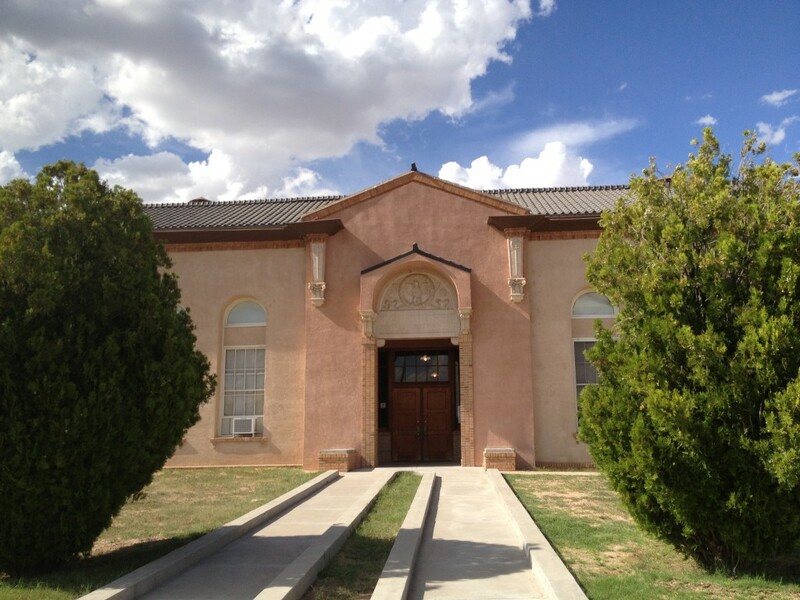 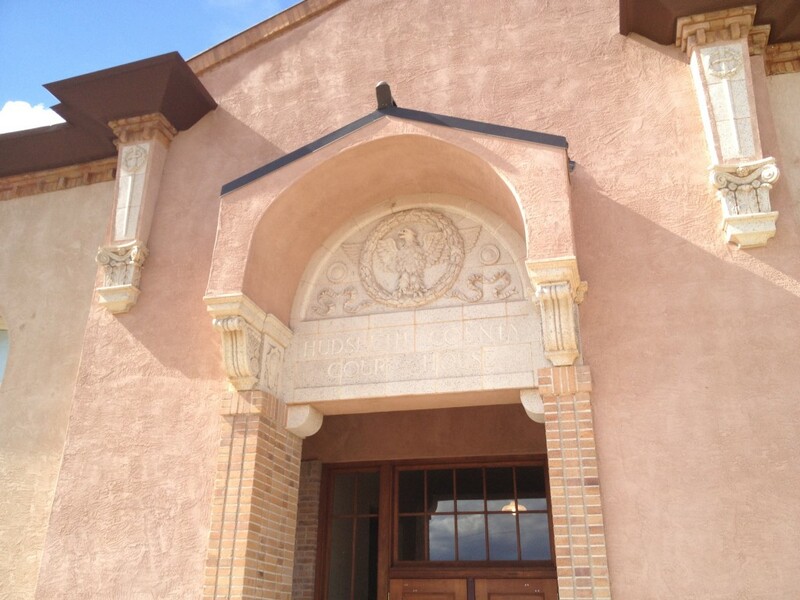 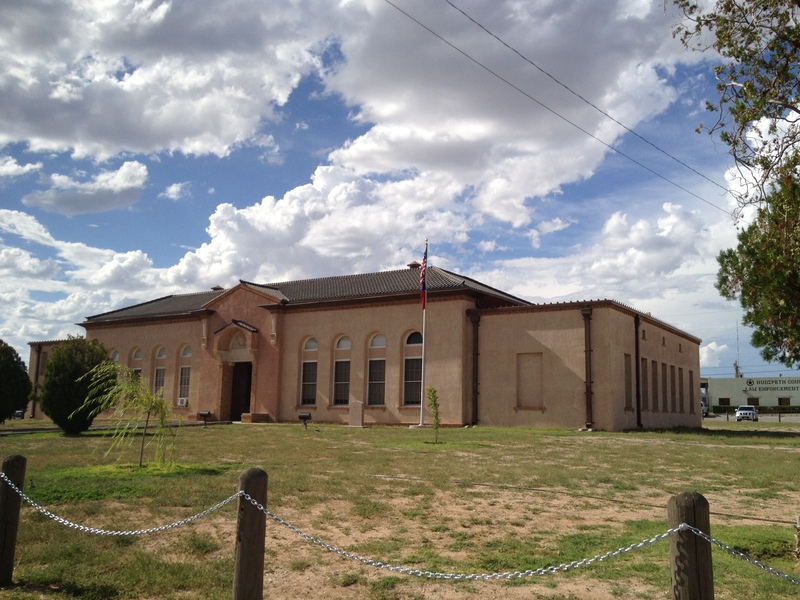 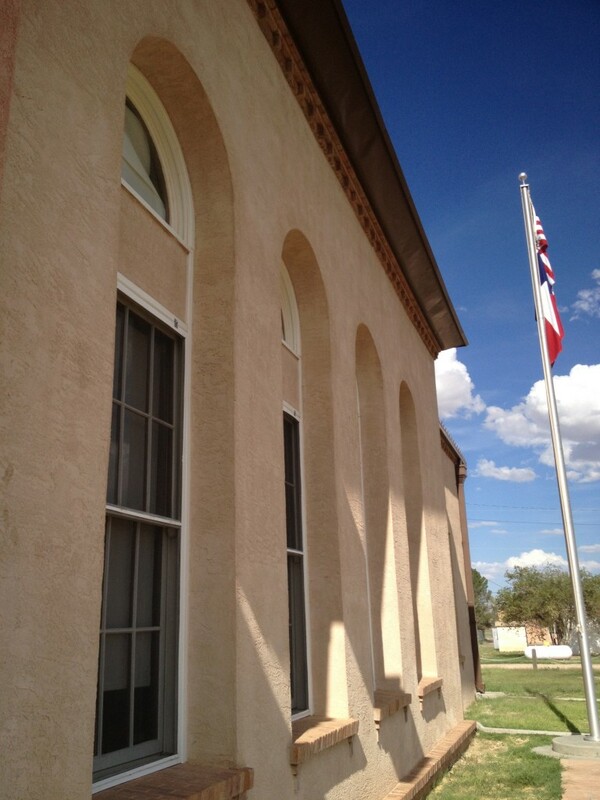 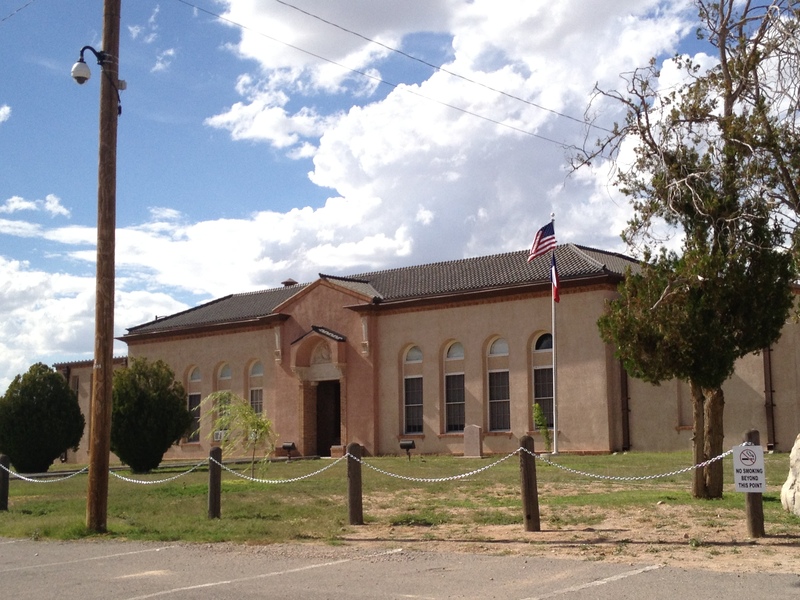 The Vaquero Gym was constructed in 1947 and is part of the Sierra Blanca school.